W00t! New Years Day 2013! It's time for my annual look back at the year before and to set my goals for the new one! In a lot of ways 2012 was a hard year for me, but somehow it just doesn't feel like it. It was filled with many big wonderful moments, but also sad ones. Eli and I moved into our first apartment together, a transition that was frighteningly seamless. I participated in the Out of the Darkness Overnight for the second time, raising over $4000.00 (thanks mostly to the generosity of the OKCupid staff and the customers of Thompson Chemists). It was held in San Francisco less than two-weeks after our move and was an wonderful, exhausting, emotional experience. In October we took a beach vacation (FINALLY) and spent a wonderful long weekend relaxing away the stress of knowing I was getting laid off in the next few weeks. And then I got laid off. I am so incredibly lucky to have a partner who understands the importance of finding the right job, rather than the first one, and I am so lucky that we are financially able to take the time to find that job. But, losing my job felt like someone was unraveling my world. My job was my community. My family. And it was all coming apart at the seams. Luckily, it was not my only community and my friends and family have rallied around to help. They helped me secure a number of little gigs that are bringing me joy, peace of mind and a little bit of cash, and, most fabulously, are related to what I do here at 283projects. One of my jobs is at Downtown Yarns. I WORK IN A YARN STORE!!!! What a happy happy place is Downtown Yarns. I am so thankful for the warm welcome I've received from Rita and all the the staff. I am even more thankful for the way the community has opened it's arms to me. It has been barely two months and it feels like home. I know people, they know me, and we look out for one another. I've gotten a reputation for being the "vintage magazine girl," and so people bring me things, fabulous vintage knitting patterns they find in their attics or at thrift shops. I am so very blessed to be a part of the Downtown Yarns community, so very blessed, and I am doing my best to make sure I give back as much as I receive. My second job has been equally joyous but a bit more challenging. I'm teaching little ones (kindergarden and first graders) in an after-school fiber arts program! I love my students dearly, and I'm happy to have the opportunity to grow and developed new skills while sharing the thing I love most: making stuff! So, just to wrap up all this talk, I have ended the year on a high note, despite the challenges of 2012. The world has been very good to me, and for that I am thankful. And oh boy, what a great NYE! Thanks to ilili for that, it was a perfect evening! 2) Build a website. CHECK! Eli helped me with this a while ago, and I'm very pleased! 3) Knit another original design and publish it. CHECK! Both my Snow Day Legwarmers and my Marine Mittens patterns are now available! 4) Knit away at my stash! CHECK! I have bought yarn this year, but I have also knit from my stash. I think I can do better but I still count this as accomplished. 5) Blog at least twice a month. Almost but not quite! I round up 2012 with 23 blog posts, but with big gaps in my blogging. Now blogs at all from April-June. :/ 2013 will be better! 1) Begin and/or finish these projects in approximately this order. I'm hoping that writing it down will keep me from getting distracted. 6) Teach a class! For adults! (Rather than one-on-one) Preferably sometime a little outside my comfort zone! Last night I was so brave and tried a bunch of tasty foods I'm usually scared of, and so I've decided 2013 is going to be the year of living a little dangerously, or at least one where I push more boundaries. 7) Do more with my Etsy shop! Since I've run out of pre-sorted button lots I've slowed considerably. I need to get back into it! Especially since I just got an order! 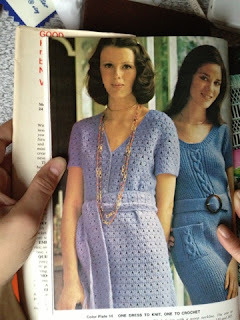 9) And, yes, I almost forgot, Knit those damn Master's Program swatches. I really have lost steam on this. Although as you can see it is a low priority item for me, I WILL begin in 2013. Updated 01/02/13 to include two more projects and include links.